Comes with everything you need, simply plug-in and ready to use. Extra long 33ft (UL) cord with 3 different size prongs. Designed for the fountain jets, filter systems, waterfalls, aeration and circulation etc. 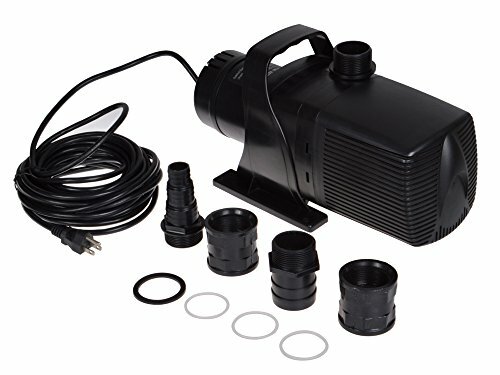 Color: Black.Material: Plastic housing.Our submersible pond pump is perfect for both indoor and outdoor use, With the powerful and efficient single phase alternating-current motor, the pump and easily pump up to 5283 gallons per hour,20,000L/H, and makes a great sump pump for all around use. 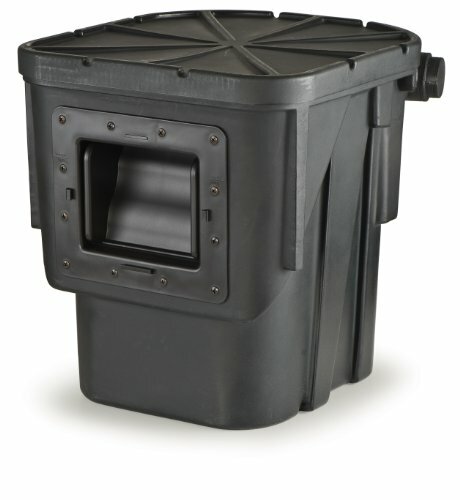 It’s perfect for ponds, water fountains, waterfalls, gardens, large aquariums and flooding yards, Etc. Features: Different setup ways to achieve your water flow design. Overheat protection. Powerful 20,000 liters per hour. Runs quietly and is extremely reliable. Minimum vibration and is completely submersible. Oil free, grease free magnetic motor to avoid pollution in your water. Removable upper and lower cover for easy cleaning. Specifications: Voltage : 120V/60Hz. 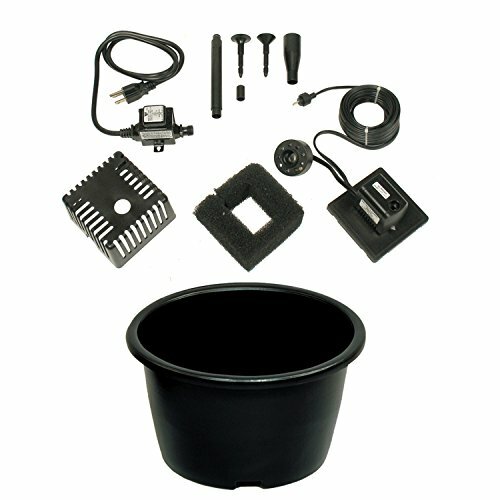 Power : 400 W. Inlet Size: 1 1/2 ” Outlet Size: 1 1/2” Overall dimension: 15” x 7” x 8” (L x W x H). 10 m / 33 ft(UL) Cord and plug. Max Flow: 20000L/H / 5283 GPH. Max Head: 9 m / 29.5′. Output pipe diameter: (1” and 1 7/8”). Package Includes: 1 x Water pump. 2 x output connectors. 2 x Pipe connectors. 4 x seal rings.